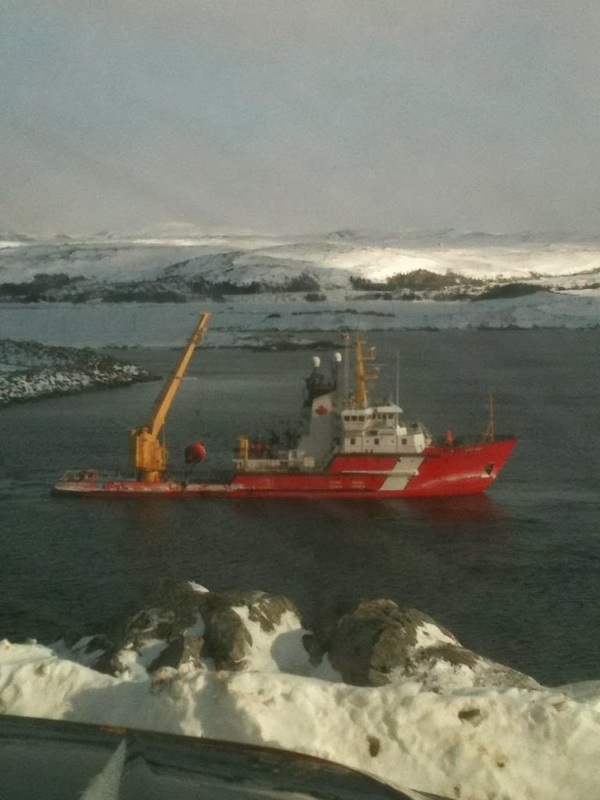 The Earl Grey shown in this photo putting a buoy back in place in Port aux Basques harbor. The buoy moved off its position due to wind and tide. The arrival of the Highlanders was delayed until the buoy was put back in position.